CC Accountants Limited is located in Torquay town centre. The business was purchased by Ian Bradshaw from C&C Accountants in 2003 and the name changed to CC Accountants Ltd.
Ian has been a qualified Chartered Accountant for over 20 years and despite starting from a small business background spent a large part of his professional life in the tax departments of two of the Big 4 accountancy firms (Deloittes and KPMG) covering a wide range of taxes and advising large corporations on tax planning and tax structuring; including those cross border structures that are now, years later, attracting widespread media coverage. 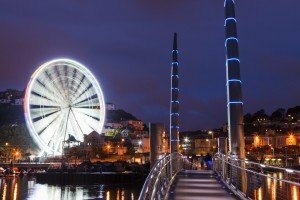 For lifestyle, work life and school reasons Ian and his family moved from London in 2003 to Torquay. As there are few large corporations south west of Bristol Ian decided to return to his work ‘roots’ of handling small businesses. After having looked at various accountancy practices, Ian found C&C Accountants and was impressed by how it was run. Ian continues to manage the company and act for many different types of clients providing a range of accounting and tax services. The services are mainly to local businesses but also includes clients based in London, Scotland and Iceland. We offer a personal service and ensure we get to know our clients personally making us familiar and approachable. We are fully committed to developing a close working relationship with each and every one of our clients and view these relationships as lasting friendships which we build on year by year. We do our utmost to accommodate our clients’ needs, no matter how big or small.